FLEX provides in-person clinical services throughout the General Toronto Area. Online supports and consultations are provided throughout Ontario, Newfoundland, and select international locations. FLEX maintains a team of respected treatment providers and assessors to meet your needs. Psychotherapy, diagnostic assessment, and case management is available through each of our in-person locations and many services are also available online. If FLEX does not have a clinician specializing in your area of need, we will work with our treatment partners to find someone that is the best fit for you. 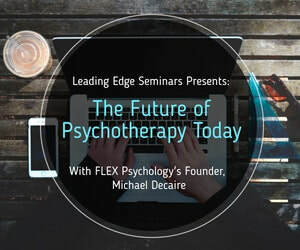 FLEX Psychology maintains a comprehensive mental health and psychoeducational assessment team in order to provide guidance and diagnostic services for our clients. Some of our assessments are completed in-house at FLEX, while others are completed with members of the FLEX team at our sister-practices in Thornhill and Hamilton. Please see below to determine the right assessment for you. A differential diagnosis team, for parsing out complex cases with multiple factors contributing to current concerns (may require a psychoeducational element). ​For individuals, complete psychoeducational evaluations are completed by members of the FLEX team through our sister practices in Hamilton (Hamilton Psychological Services) and Thornhill (Cornerstone Psychoeducational Services). For respective information on these practices and to book an assessment click on the provided website links. For institutions, the FLEX team is available to provide cost effective and adaptable assessments under contract for private schools and post-secondary institutions. Hamilton; and Pickering. CLICK HERE to view our office locations. We also offer online support services throughout Ontario, Newfoundland, and select international locations. Psychotherapy is billed at a variable rate depending on clinician and the service being offered. Currently, our billing range is between $165 and $185 dollars. Lower fee services are occasionally available through our internship and training program, which has a student trainee working directly with the client, but under the supervision of a senior member of FLEX. We offer a variety of assessment services directly through FLEX and with our staff through a variety of assessment contracts. Psychoeducational assessments can mildly vary in costs, but are generally under $3000. Psychological assessments examining one's emotional status and needs are billed at an hourly rate ($185), but are capped at 10 hours per assessment.